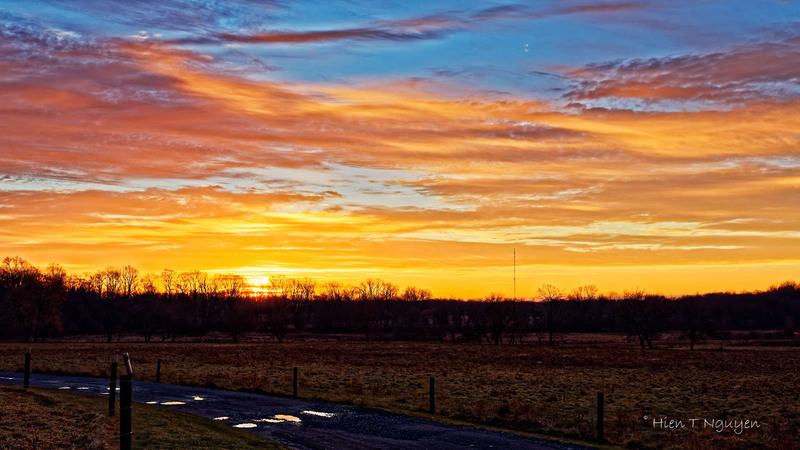 The following sunrise shot was taken one early morning in December 2017 at a farm about two miles from our home. 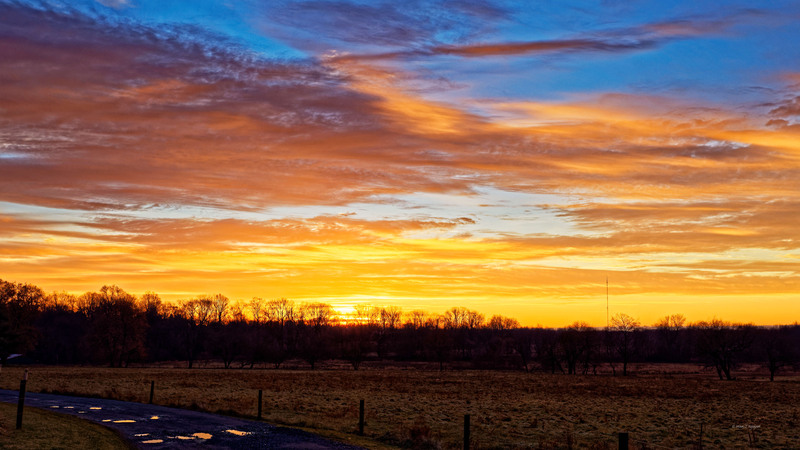 Sunrise at Cherry Orchard Farm. Happy New Year to all my blogger friends and visitors. May 2018 bring you happiness, health, and whatever you wish for. There is a small farm near our house that I used to pass by on my way to work every day. At times, especially in the winter, the sunrises are simply spectacular, but I always had to hurry on to get to the office. 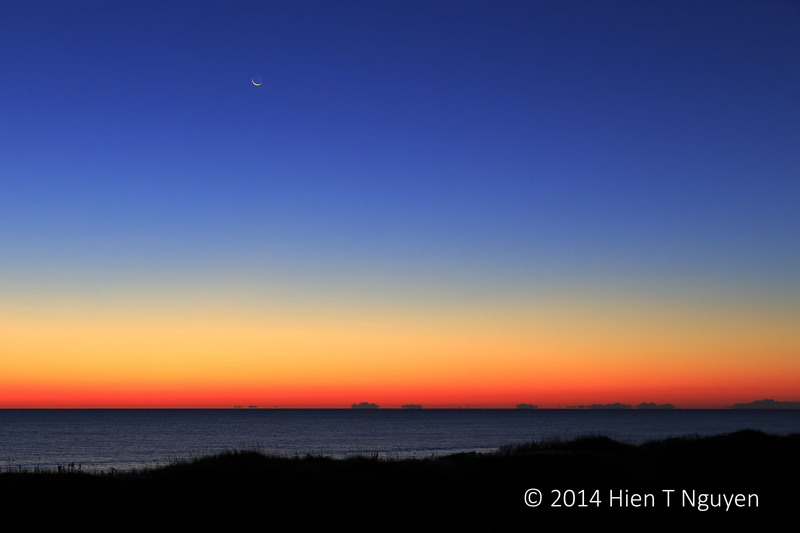 This morning, the temperature was 1℉ (or -17 ℃), but I went there anyway to try and capture the sunrise. There was nary a cloud in the sky and the photos turned out to be very disappointing. So I am using the following shot taken last Sunday a week ago, when there were lots of clouds. Sunrise at Cherry Grove Farm. Happy New Year! 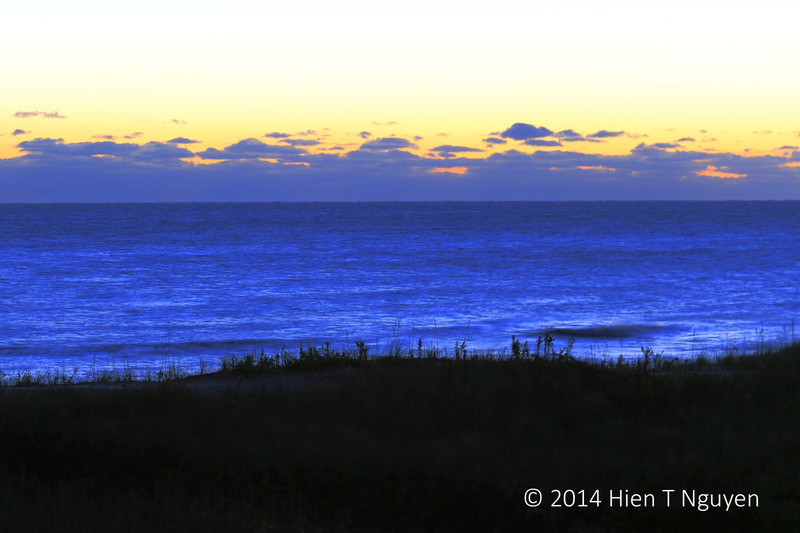 Like many of us, whenever I see a colorful sunrise or sunset I try to take a picture of it, if possible. 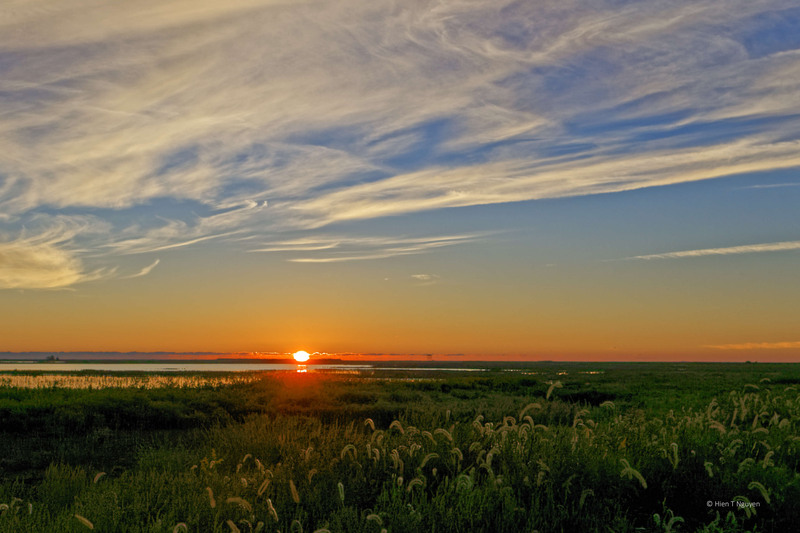 Since the refuge is where I go most often to shoot pictures, in the past several years I did manage to have some sunrise and sunset shots from that place. 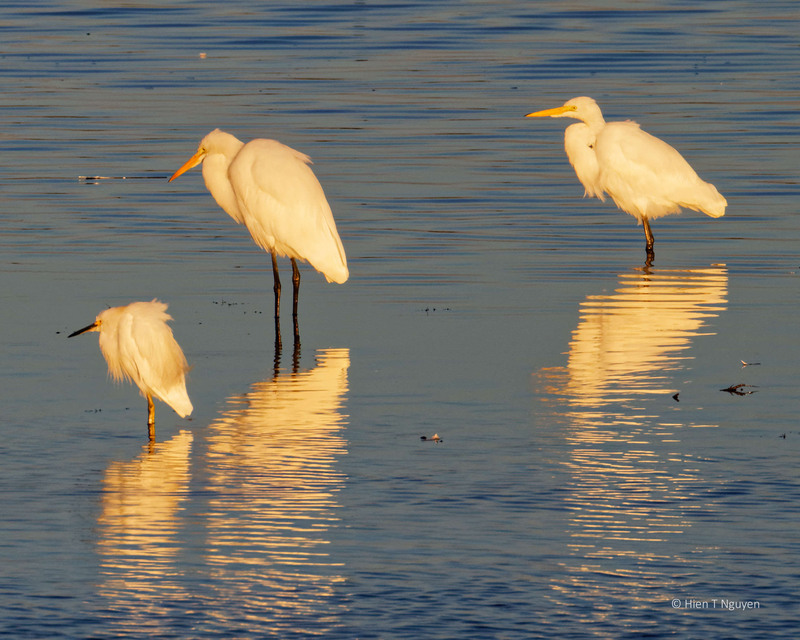 Snowy and Great Egrets at sunrise September 15, 2013. 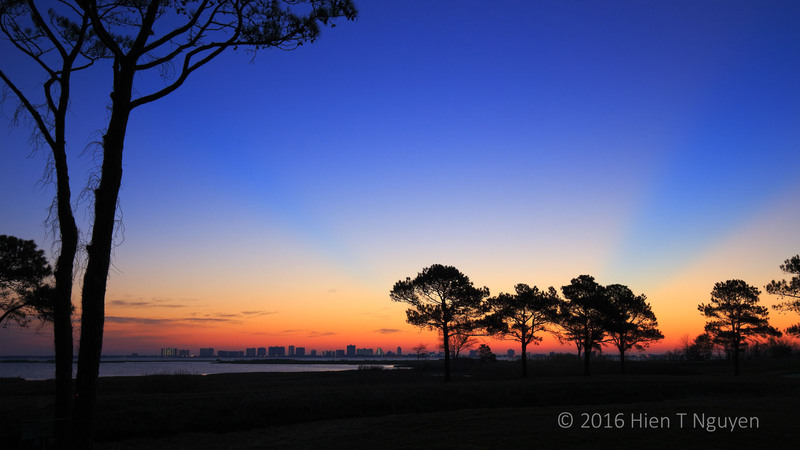 In the shot below, the sun hid behind thick clouds, but as it plunged below the horizon it produced magnificent colors ranging from blue and purple to red and yellow. 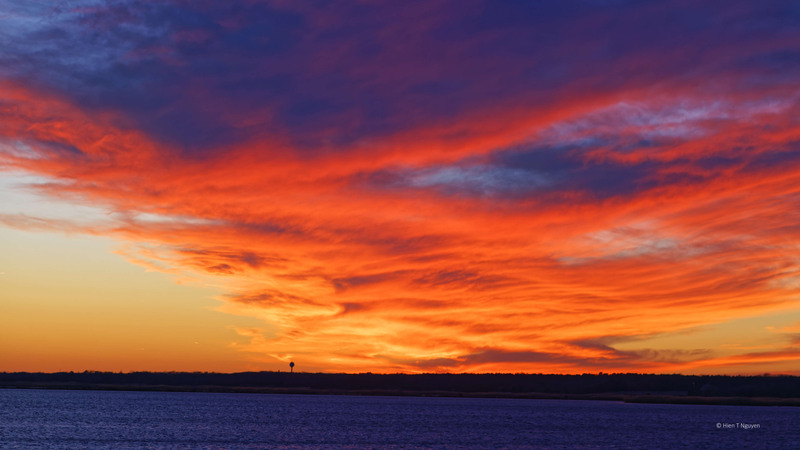 Two photos of a sunset and a sunrise in Ocean City, MD a little over two weeks ago. 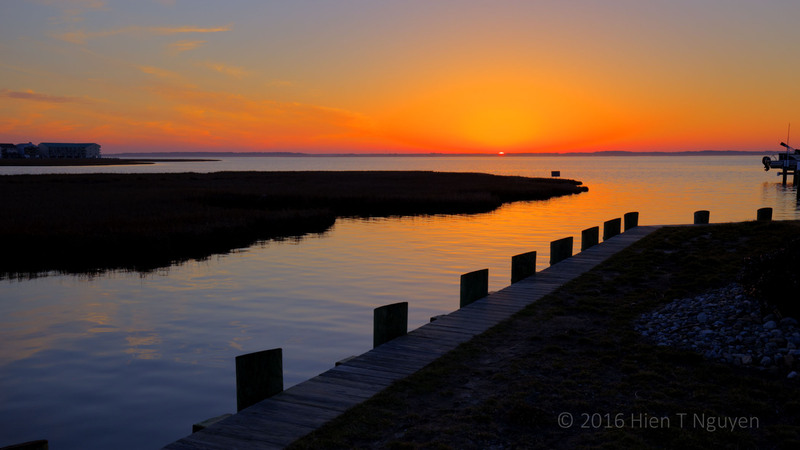 Sunset as seen looking inland from Ocean City, MD across Assawoman Bay. 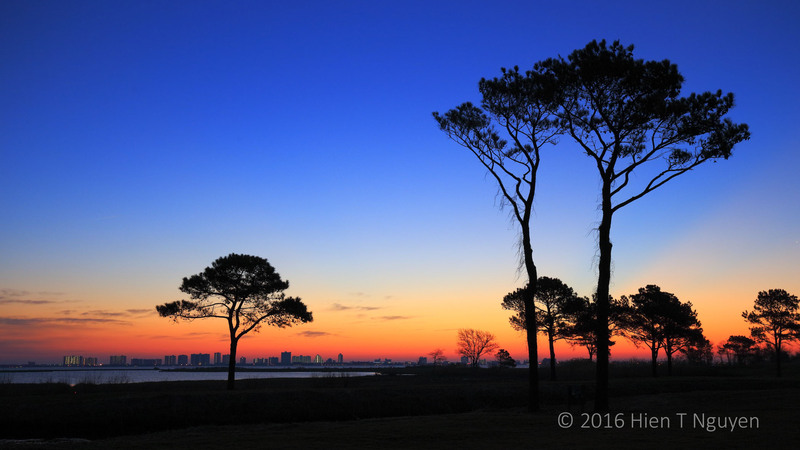 Sunrise over Ocean City, MD as seen from Links at Lighthouse Sound. 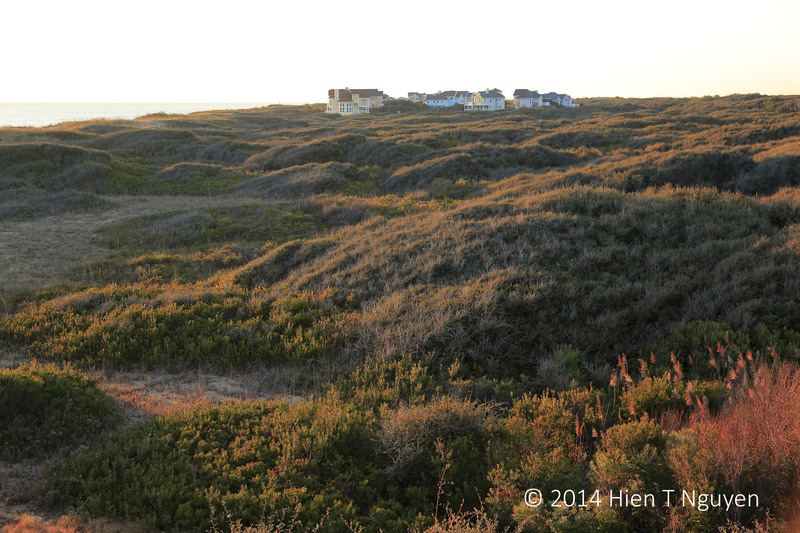 This last one is to show you what the dunes looked like in the morning light.